Barry teaches managers how to use a very simple and structured process in which they develop their goals and the tactics and timeframe needed to make these goals happen. The final critical step in this process is for the managers to learn how to use metrics as friendly facts and celebration points in achieving corporate objectives. Ultimately, managers leave Barry's sessions with a road map on how to run a business with confidence using Leadership skills and Management tools. With similar outcomes in mind (increasing revenue and/or decreasing cost), Barry addresses the Service employees in the organization. Training is the primary service offering available to individual contributors. 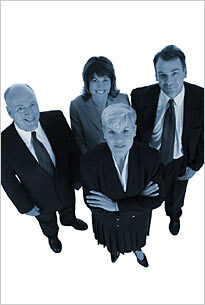 This training aligns with that of the training provided for Service managers. The end result is that, following the training, overall effectiveness of the Services organization is optimized.